David Stone is a big thinker relentlessly focused on solving the EHR’s most complex problems vexing providers. He co-founded TransformativeMed after a decade working at the University of Washington. He joined UW Medicine and became the application architect for its EHR implementation. David led the development of one of the first EHR-connected app platforms and continues to lead the way in making TransformativeMed’s EHR optimization platform an indispensable tool for innovation. A called upon expert, David has presented on platform technology at healthcare industry conferences, and founded the MPages Development Conference, focused on app development in the Cerner EHR. David is a graduate of the University of Washington, with a Bachelor of Science in physics. As a passionate advocate for provider technology that lives up to its promise, Erik Van Eaton, MD, FACS, represents the emerging new breed of “modern techno doc”. Serving in a dual capacity role, clinically Erik is a faculty member at the University of Washington in trauma surgery and surgical critical care. Leveraging his technical expertise, Erik has won accolades from colleagues and providers across the country as the innovator behind the CORES Smart Handoff App and invented the concept of role-based patient list relationships in 2003 as a surgical trainee. He continues to research and study broad sets of electronic tools that are likely to lend themselves to MPages development and actively brings the clinical perspective to the company by advising on clinical and business strategy, while maintaining his faculty role at the University of Washington. Dr. Martinez has more than 20 years of healthcare experience as both a healthcare consultant in top tier firms and a practicing Otolaryngologist/Facial Plastic Surgeon. His passion is helping clinicians to optimize clinical workflows by leveraging the capabilities of available technology - maximizing clinical, financial and operational results. Dr. Martinez' clients have included community and academic health systems, pharmaceutical companies and payers, as well as the DoD and VA. Cerner recognized his abilities and contracted him to serve as a physician executive for nearly one full year to assist with a complex series of implementations at a multistate organization. As Senior Vice President for Clinovations, a division of Optum, Dr. Martinez led a variety of inpatient and ambulatory engagements that focused on maximizing the value of health system investments in their electronic health record by aligning stakeholder incentives, technology and clinical workflows. Earlier in his career, Dr. Martinez was a Physician Consultant with McKesson Corporation where he led strategic conversations with clinical and executive teams preparing for conversion to EHRs. Dr. Martinez received his Doctor of Medicine from the University of South Florida College of Medicine, and his Bachelor of Arts with Honors in psychology from Dartmouth College. He continues to see patients on a part-time basis and serves on the board of a Healthcare Data Visualization company. With more than 30 years of experience helping healthcare and technology companies go-to-market, Cheryl Isen now offers her services as a Chief Marketing Officer to-go. In this role, Cheryl focuses on delivering a bottom-line, measurable difference, and since 2001 has helped more than 50 companies realize huge wins by making the right moves in positioning, marketing strategy, PR, and communications. Prior to founding Isen and Company, Cheryl led the marketing operations which often included IPOs and exits, for PHAMIS, Inc., VISICU, VitalCom and other companies. Traci's passion revolves around helping customers use tools and technology improve patient care. 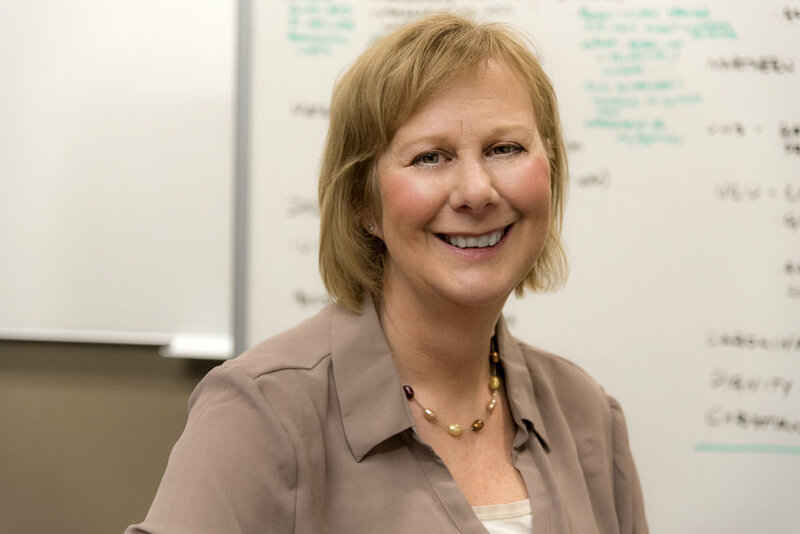 Her 20 plus years in healthcare sales and account management has centered on helping healthcare customers use tools to improve patient care, decrease cost, and improve satisfaction. Traci has worked for a variety of organizations, ranging from startups to large companies. Most recently she has successfully delivered customer desired outcomes most with Sharecare and IDX. Traci is a registered nurse with a degree in nursing from Seattle University and a Lean Six Sigma Green Belt. Peter Weiss brings more than 35 years of finance and managerial experience to his role as CFO. This includes starting his professional career on Wall Street with mergers, acquisitions, and leveraged buy-outs. With a passion for young, entrepreneurial companies, Peter leveraged his experience into early-stage investing and launched a consulting practice and has provided corporate finance and general management services to growing companies for the past 20 years. Peter’s clients have included technology, retail, service, and manufacturing companies. A graduate of Princeton University and Harvard Business School, Peter has owned and operated multiple businesses, served on numerous Boards of Directors, and is active in a variety of community service organizations.